US-based online retailer Amazon will get a warehouse in the EIA informationsystem in the Černovická terasa industrial zone in Brno. 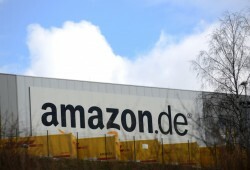 Leading online retailer Amazon will open three major logistic centers in Poland. According to the company’s own proclamation, this step does not relate to the latest striking problems in Germany.